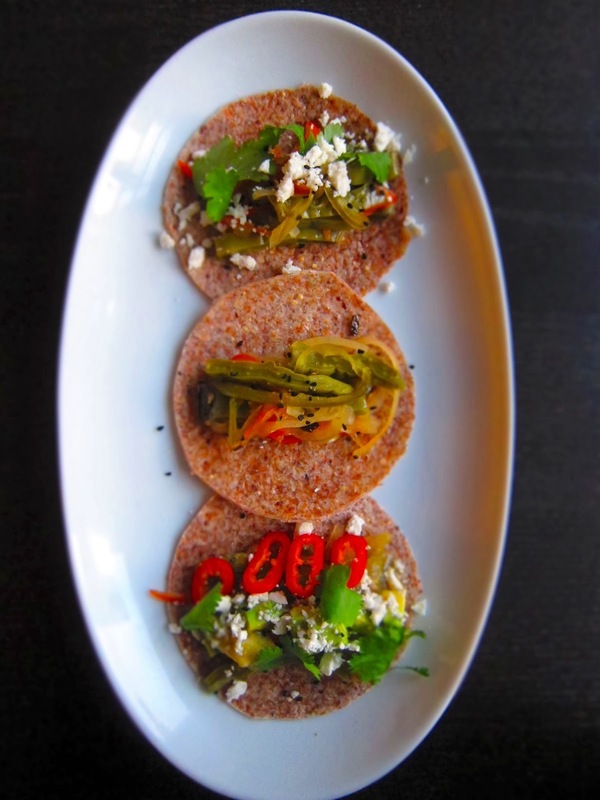 Nopales tacos - definitely seasonally appropriate, no?! 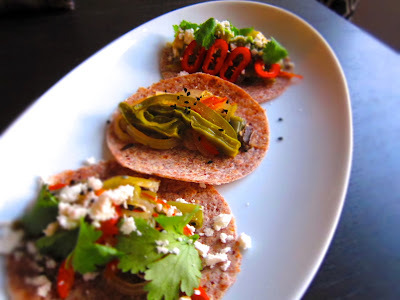 Maybe not, but these tacos are so good, they should definitely be eaten year round. I really did think about doing something more holiday-esque, or seasonal, but when I saw the cactus paddles at the market, I really couldn't resist buying them. I've never cooked them, and I've only eaten them a handful of times. So, why not? I figured I'd give it a shot and see what these nopales had in store for me! Having never cooked them before, I scoured my cookbooks for recipes and ideas - the usual route I take for inspiration. I couldv'e made a sauté or vegetable side, but I had all the fixings for tacos...so that was the road I was headed down! 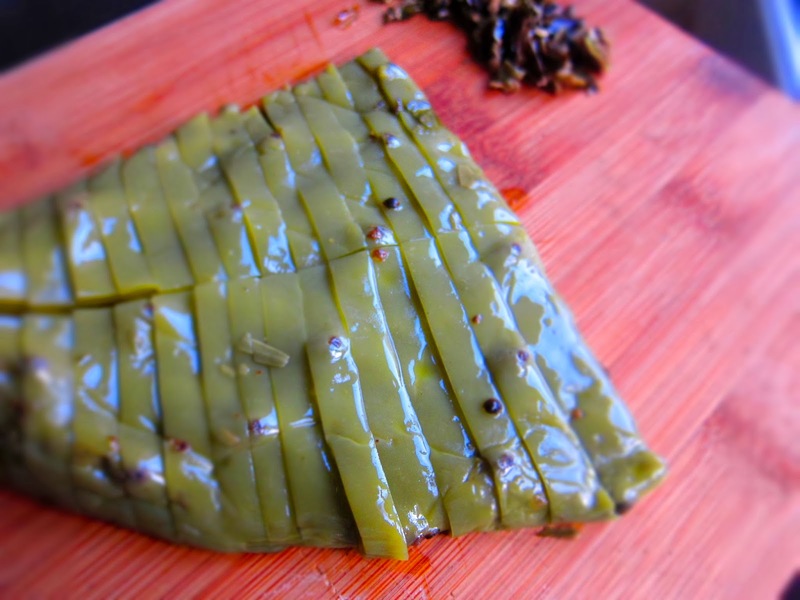 Cactus paddles can be cooked in a variety of ways - sautéed, grilled, roasted, and even sous vide. I don't have any sous vide contraptions in my house, but there is still a way to semi-sous vide ingredients, and that's exactly what I did! If you ever find yourself in the presence of cactus paddles, pick some up and make these tacos - you won't be disappointed. 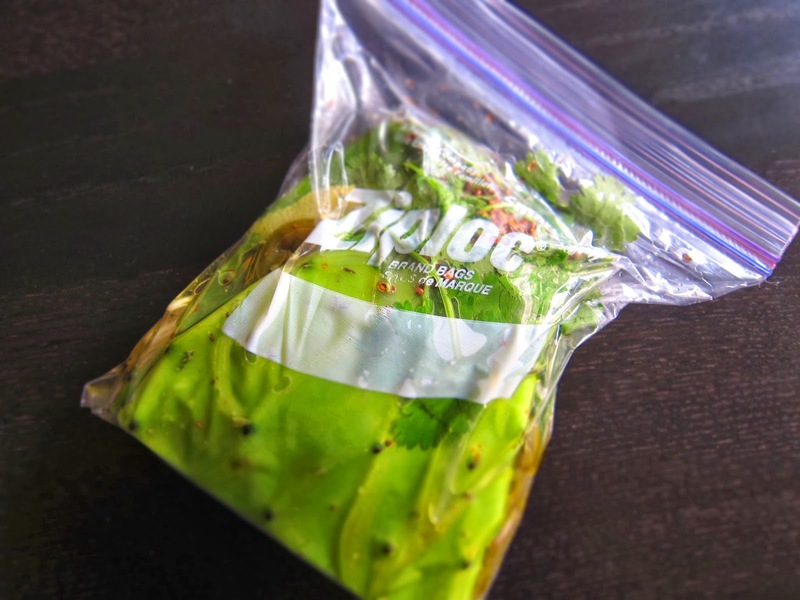 In a large freezer bag, combine all of the ingredients. Remove as much air as possible, and seal shut. 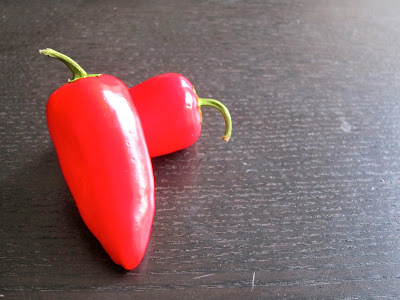 Bring a pot of water to a simmer - around 165F - and place the bag inside. If there is too much air and it's floating, put a weight or something heavy on top to submerge it. Allow to cook for 30 minutes. Remove from water, and let marinate for at least an hour. After marinating, remove the paddles from the liquid and slice into strips. Reserve. The smell emanating from the cooked cactus paddles is AMAZING! 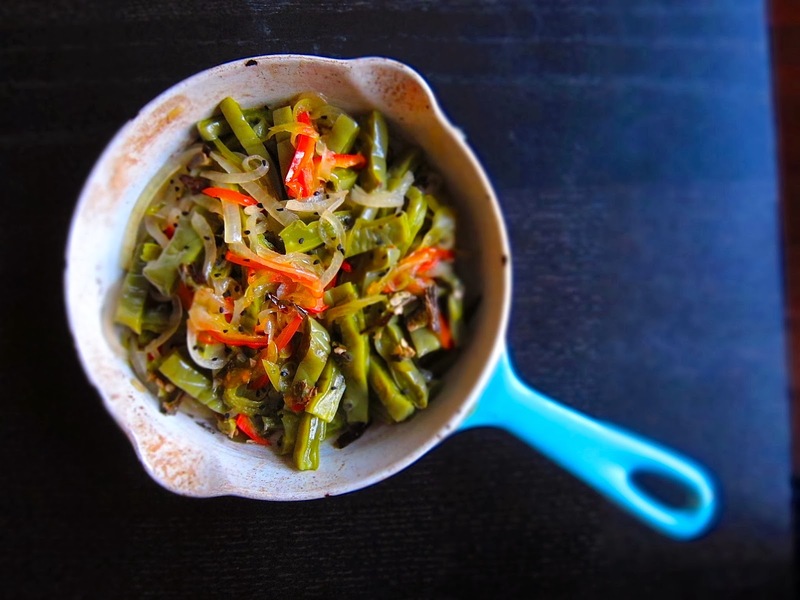 While the cactus is cooking, prepare the escabeche. Sweat the onions in bait of olive oil until translucent. Keep warm, but don't allow to brown. In a small sauce pot, boil the vinegar and sugar, stirring until dissolved. Place the chills and onion in the vinegar, and allow to cook for 5 minutes. Remove form heat and let marinade for 20 minutes. Strain the pickling liquid from the vegetables and discard. 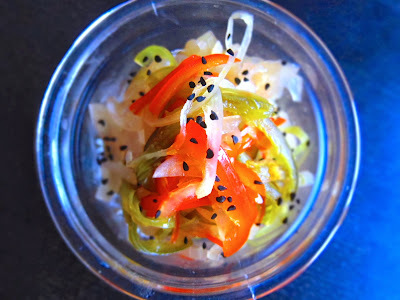 Toss the escabeche in nigella seeds and reserve. I don't know what it is about nigella seeds, but they are downright amazing. There is no flavor like them, and not to mention they add an amazing crunch and visual appeal to any dish. Technically "black caraway" seeds, these are something you should have in your spice cabinet if you can find it. Before platings, prepare the filling. Toss the cactus slices with the escabeche - taste for seasoning. It should have a bit of a kick to it. Heat up the filling, whether it's in a skillet or in the oven. Plate three small tortillas on a plate, and spoon a bit of the filling onto each - ensuring to get a good amount of both the cactus and escabeche components. Top with any accoutrements you'd like! All of the above makes for quite a delicious taco. If you're looking to kick it up another notch, definitely add a few dashes of Cholula or Valentina hot sauce! 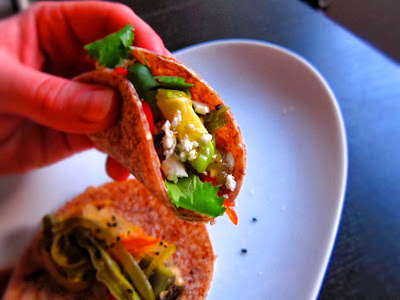 These tacos were super better than I ever expected. Cactus I've had in the past probably just wasn't prepared as best as it could've been! They have a great texture to them - albeit they look a tad slimy - but have a nice toothiness to them, almost like a green bean! All of the flavors from the 'sous vide' marinade really infused the paddles and came through - it was a nice combination of sweet, spicy, and sour from the pickling liquid. The salsa, cheese, and avocado help round out the entire dish - they help add a nice creaminess and freshness to the overall flavor profile, and finishing with fresh cilantro just brightens it all up. 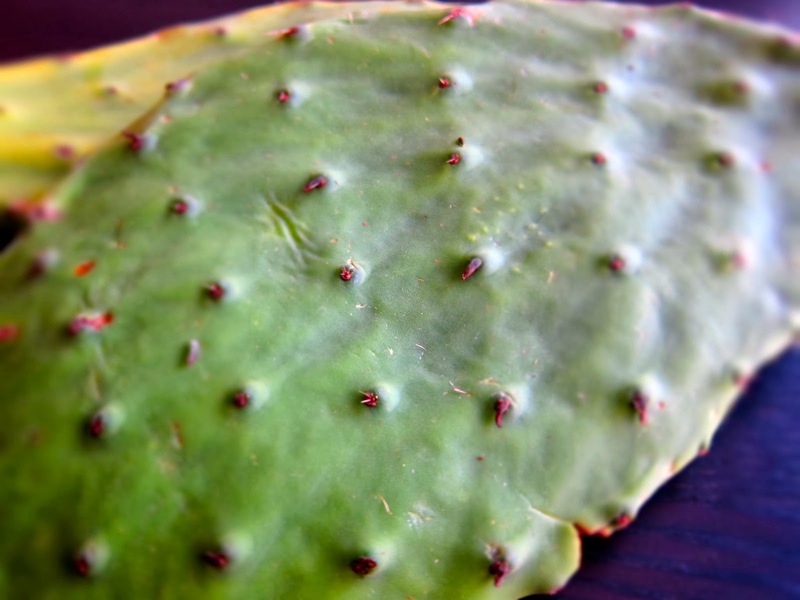 This was super easy to make, and a surefire hit with anyone that tries it - it will make everyone think twice about cactus! !